We can upgrade your business image with impressive designs for purchase orders, invoices, and other forms. In addition, we can produce medical or technical forms for specific uses. Business forms say more about your business than you realize. A professional looking receipt, invoice, statement or other form reflects on your image. Simply adding your logo says a lot to your customer. It also matters if those forms are designed for a specific purpose and ease of use. 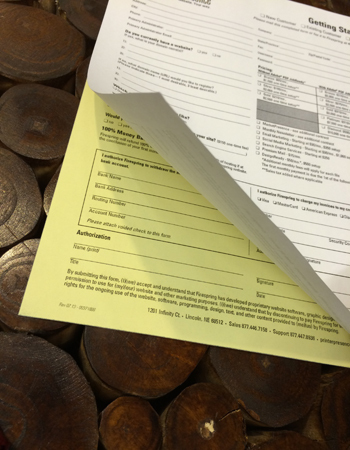 When Pro Forms started 30+ years ago, business forms were the focus of our industry. Pro Forms has grown over the years, but forms are still prevalent in our business. Laser or carbonless we will help you create the perfect form for your need.